Query Letter Critique – For a limited time, the founder of this How to Write a Query Letter website Mark Malatesta is offering query letter help and critiques to a limited number of authors. 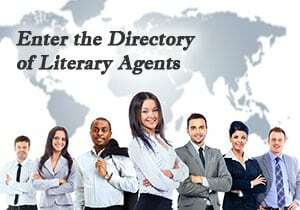 Learn more and schedule your agent query critique below now. For a limited time you can send me any/all of the following to be critiqued: query letter, first 50 pages of your book, synopsis, book proposal, and your website and/or social media links. You’ll also get my proprietary Query Letter Critique Questionnaire, with a detailed list of important questions about you and your book. The more I know about you and your work, the more I’ll be able to help you. Plus, you’ll be able to use a lot of the information that I “pull out of you” to help you get a literary agent and publisher–it’s the exact information they’re looking for, designed to help you identify (and communicate) more value in your query. Most authors “undersell” themselves and their work because they simply can’t see their full value, or they don’t know how to say it in a compelling way that fits on just one page. After you send me your author questionnaire and supporting material, I’ll take detailed notes about what you need to do (exactly) to get the attention of top literary agents… so you can get a top publisher and book deal. Then we’ll get on the phone (or Skype if you’ll be outside the United States for our call) for a full hour. I’ll give you a Query Letter Critique, but I’ll also tell you everything else you need to do to reach your publishing goals. And I’ll tell you how close you are to getting a top literary agent and book deal. Of course, I’ll answer any questions that you have, too. Plus I’ll record our conversation if you’d like that so you can listen to it later–most authors tell me they listen to their recording at least 2 or 3 times. That’s how helpful these calls are. 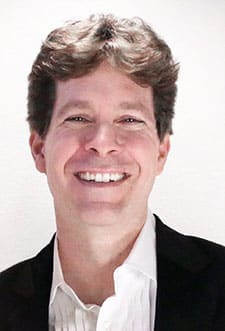 If you sign up for a Query Letter Critique today, you’ll also get a bonus–a special recording of an interview with FOX TV news anchor and suspense novelist Jim Brown (24/7 and Black Valley, Random House), revealing How to Get Featured on the News. That’s more than $1,200 worth of Bestselling Author Coach™ training… for just $297 (with a 100% money back guarantee). But you have to sign up below now. This offer expires soon, and these coaching sessions are first-come, first-served. This offer not available for existing clients. Traditional Publishing vs. Self-Publishing: Figure out which one is best for you. Book Concept/Title/Genre: Which one of your books has the greatest potential (or, how can you make your existing book more marketable)? What’s the best title for your book? Or, what genre(s) does it fit into? Agent Research & Submissions: What’s the easiest/fastest way to find the best literary agents for you and your work? And what’s the best strategy to use when approaching them? Query Letter/Synopsis/Proposal: Create an irresistible query letter that gets literary agents asking to read your material and offer representation. Write a book synopsis that’s just as good as your book. Create a book proposal that gets the attention of top literary agents and generates a big advance. First 50 Pages: Tighten up that all-important first 50 pages of your manuscript and avoid the common mistakes that lead to rejection. Author Platform: Discover simple strategies to quickly improve your credibility and influence. Myths & Misconceptions: Every author falls for some of them. Identify misinformation and false beliefs that are sabotaging your success and preventing you from reaching your goals. Should You Try to Get Published? : On a scale of 1 to 10 I’ll tell you what I think, give you concrete reasons why, and recommend next steps. Turn Your Book into a Business: Discover how to leverage your expertise into other streams of income—not just books. I know what it’s like. If you don’t know my story yet, I’m actually a writer who went undercover as a literary agent to learn how to get my own books published. I would have done anything to have a Query Letter Critique with someone experienced when I was just getting started. If you feel the same way, I’d be honored to share my experience and agent query strategies with you. One insider secret can make all the difference. We all need help to see things that we can’t see alone and implement the best strategies the right way. Scheduling a Query Letter Critique will let you avoid the painful guessing, loneliness, and mistakes that come with doing it all alone. I’ll tell you exactly what you should do. This is a great low-cost, no-risk way for you to work with me. Plus (if you’re thinking about signing up for one of my longer-term coaching or consulting programs) this is a great way for you to get to know me better, before making that bigger commitment. Some authors can’t afford (at least not yet) my other coaching and consulting programs. I know that, because some authors have told me! But they still want 1-on-1 support. If that describes your situation, this is the solution for you. It’s my way of giving back. This type of Query Letter Critique session isn’t a big money-making strategy in and of itself. But I’m able to do it because a lot of the people who take advantage of this offer, end up joining one of my bigger author coaching and consulting programs. IMPORTANT: After I register, I’ll get access to the bonus mp3 and the detailed Author Questionnaire to help me prepare for my Query Letter Critique session (so I can get more value out of my call). Once I submit the completed questionnaire, I’ll receive a link to Mark’s private online calendar where I’ll be able to choose a day/time for my Query Letter Critique appointment. and appointments are scheduled on a first-come, first-served basis! Your Query Letter Critique session isn’t going to be a “fluff” or “sales” call. During our time together I’ll do everything I can to help you become a bestselling author. But don’t take my word for it. Oh, make sure you also read my 100% NO-RISK GUARANTEE below. Then reserve your spot for a Query Letter Critique session immediately (if you’re not ready to schedule your appointment yet, that’s okay–I’ll save your spot for up to one full year). This offer is limited and appointments are scheduled on a first-come, first-served basis. So scroll above to the signup section and press the red “Add to Cart” button now. P.S. – Do you have a question about scheduling a Query Letter Critique? Send me a confidential email using the form below (underneath my Query Letter Critique guarantee). I’ve heard countless stories about authors who’ve been scammed. I was fooled myself, as a college student (embarrassing, but true). I submitted some of my love poems to a contest that I later learned was designed not for the poets, but to make money for the organizers. The poets were sent deceptive letters, making them more likely to spend money on the useless anthologies that they were being published in (with THOUSANDS of other naive poets). That’s one of the reasons I have a detailed article on one of our others websites for authors, warning them about bad literary agents and writing scams. That’s ALSO why I take pride in guaranteeing your satisfaction 100%. If you, for ANY reason, don’t feel that your call was worth your investment, I’ll refund it instantly. That way you literally have NO RISK and NO REASON to let this Query Letter Critique opportunity pass you by. Scheduling a Query Letter Critique? to improve your query letter.